If you make a video directly from your mobile devices, BeeCut's mobile version is the one that you probably need. It works on both Android and iOS devices. It offers you many helpful editing functions like trimming, splitting, rotating and sorting video clips. Its iOS version has extra function that allows users to add text captions, which we hope it will be available on its Android version someday. When it comes to the quality of the rendered videos, this tool provides the highest quality video output that is same as the original one. The next video editor on our list is Quik. 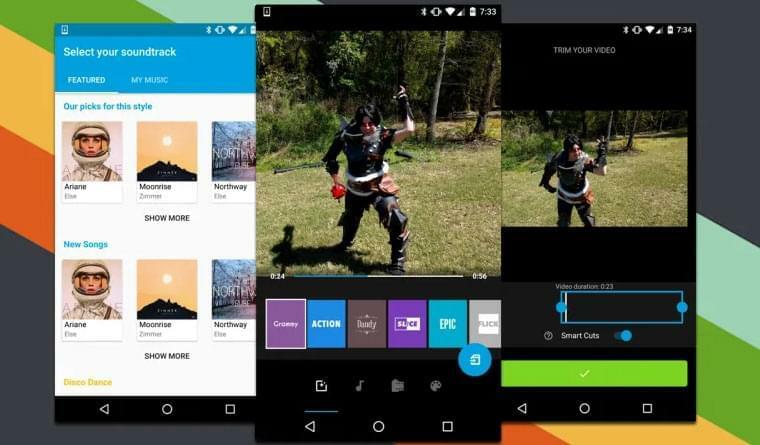 This is an automatic video editor that was created by GoPro camera now available on both Android and iOS devices. By using this tool, users are allowed to use photos and video clips of up to 75. And to put a style on your video, you can choose from 23 premade templates. Many users prefer to use its automatic video creating function since you only have to pick a template, load some images and videos, and then you're done. Another mobile application for iOS devices is Clips. This free video editing software with no watermark is made by Apple Inc., so incompatibility is not an issue with this tool. 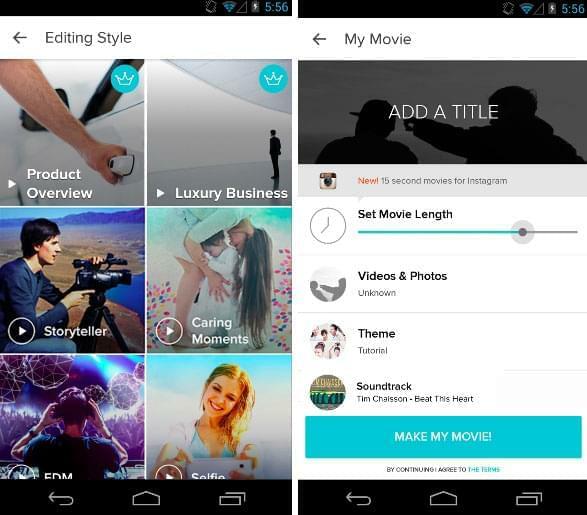 Unlike iMovie, this tool has a whole new look that somewhat similar to those popular social media apps like Snapchat. Clips can combine numerous video clips and pictures together through its drag-and-drop feature. 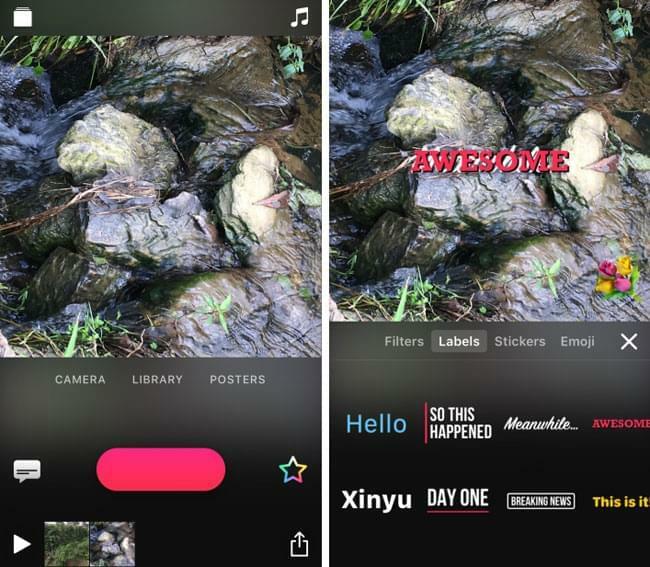 It also has enhancement tools that you can use to add live text, effects, filters, stickers, etc. This app was also made by GoPro, which has a similar design of iMovie. With this tool, users can arrange their video clips by doing a drag-and-drop method. It's also capable of trimming videos, inserting texts, adding filters, transitions, and effects as well. This app also supports adding music making it more appealing for all GoPro users. 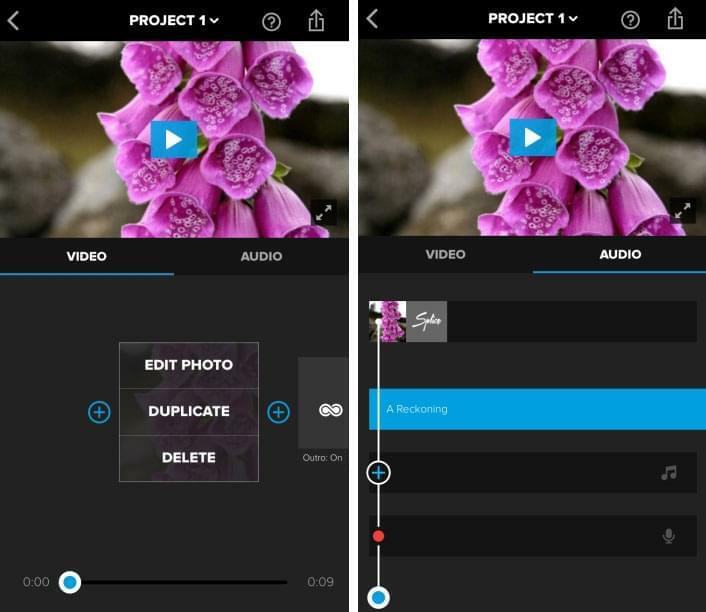 Magistro is a video editing application that works well on mobile platforms. Through this tool, users can make a video easily with three easy steps. First of all, choose the editing style that you like, select the videos and photos needed, and add music finally. 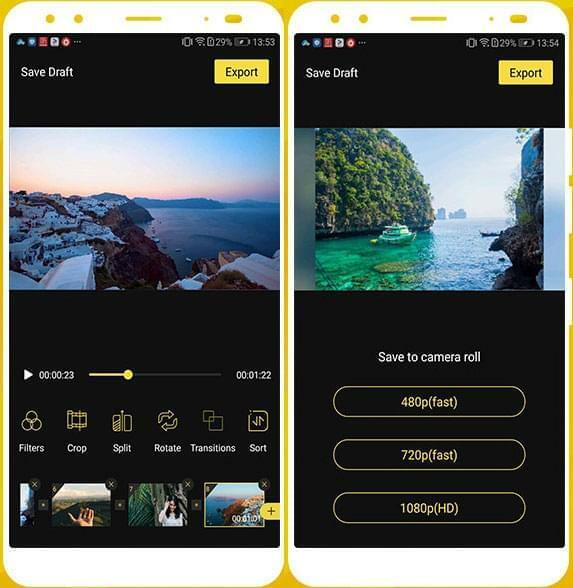 Its smart video editor offers video effects, filters, auto video crop. However, free users have a limitation of 1 minute and 12 themes only. And selecting lips gets tedious due to its poor video picker. 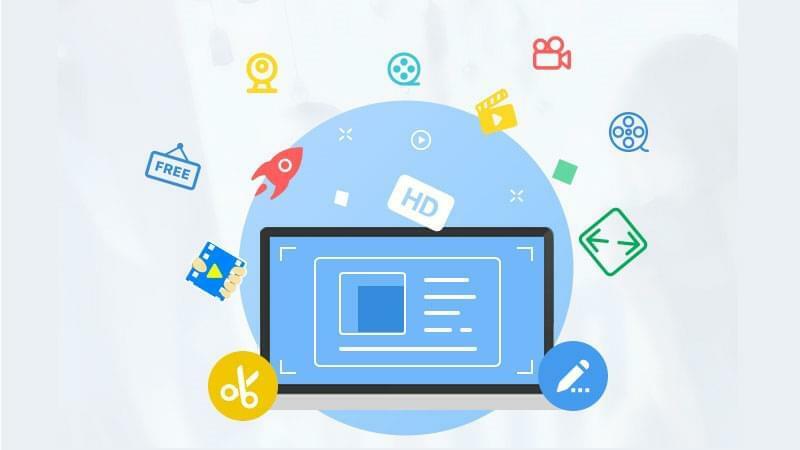 In case you prefer online video editor without watermark, all you need is an app like Free Online Video Converter. This web-based video converter has additional function that could create a new video without any brand. To do further modification, you can add effects, adjust volume, crop, rotate, etcetera. And what I like about this tool is that you can choose the format that you prefer for your video before rendering. 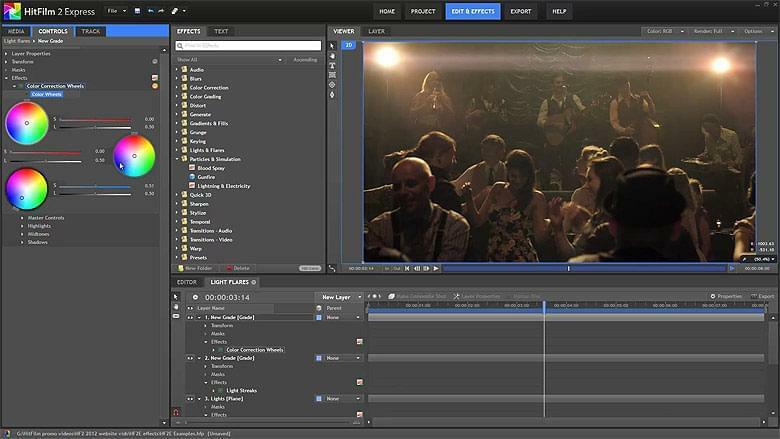 Another web-based video editing program you can use is Clipchamp. 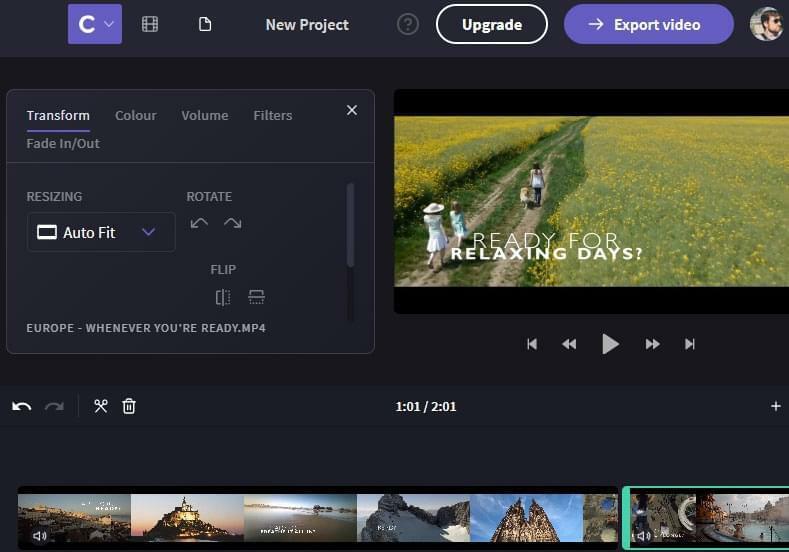 To create a project with this tool, all you need to do is to upload the video clip that you need into the interface and then drag it onto the timeline. To enhance the video, users can add text captions, background, and transition. It is indeed a fair application that you can rely to make a video as quickly as possible. This tool also serves as a basic video editor if you are searching for a program that does not leave any watermark. 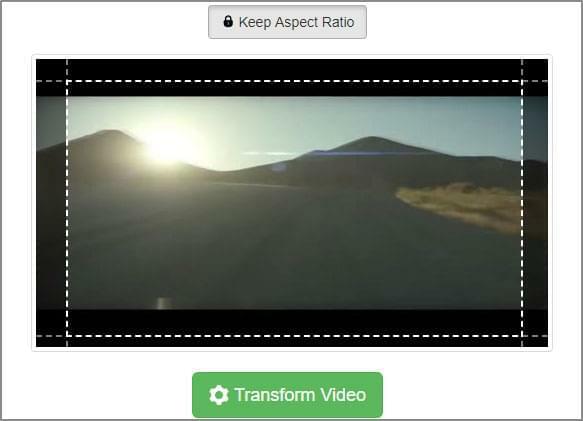 Using this tool, users can cut, trim, crop, and rotate videos. 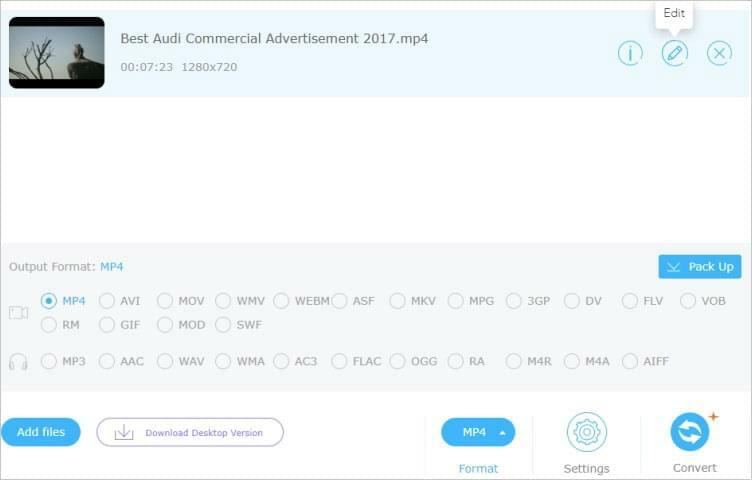 Plus, this online tool supports various video file formats. This next tool is more of a GIF editing application that has some video editing functions as well. Like the previous online tools that we discussed above, to use this editor, you must first upload the video that you wish to work on. After that, you can use its editing functions like rotating, resizing, reversing, cutting, cropping, and adjusting video speed. However, to access each editing function, you must save and download the video first before using the other editing functions. 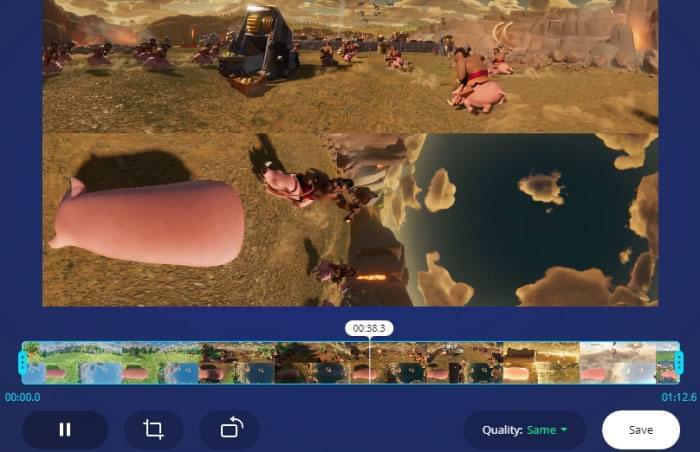 This last online tool that can serve as a video editor is Video Crop. If you need to remove some portion of your video clip easily, this is the tool that you can access easily. Simply go to this page, upload a movie and you can start moving the crop frame along the area to remove and then click "Transform Video". It's a fair application, but its video editing is restricted to only one. If you want to create a video from your PC or Mac devices, you can check this program called Blender. This 3D graphic suite that can provide advanced video editing to create stunning effects and animations. Some of the features that are included in this app include attractive visual effects, masking, animation toolset, compositing, video editing, and many more. Its interface is a little confusing for first-time users, but you'll get the hang of it eventually. So if you are going to work on a complex project, this free video editor without watermark might be the tool for you. For free video editing software with no watermark, VSDC Free Video Editor is a program that you can count on. This tool is intended for making videos depending on their complexity that involves different audio and visual effects. It also has a simple yet instinctive interface that allows users to create videos with minimum efforts. 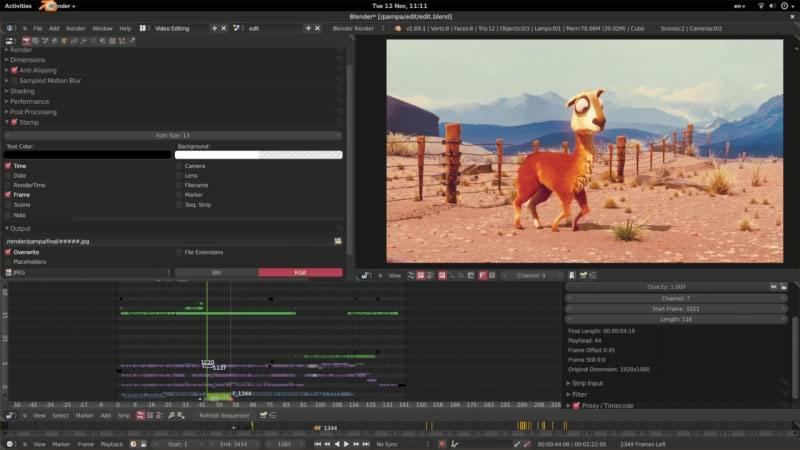 Furthermore, this editor also has decent selection of transitions, effects, and it offers non-linear editing. Avidemux is another video editor for Windows and Mac that provides basic filtering, cutting, and encoding functions. The good thing about this program is that it has a neat and simple interface and provides de-noising filters, sharpening and excellent encoding options. The only downside of this tool is that it has no timeline and the lack of creative transitions and effects make it less appealing to them. But overall, it is a fair video editor to use. 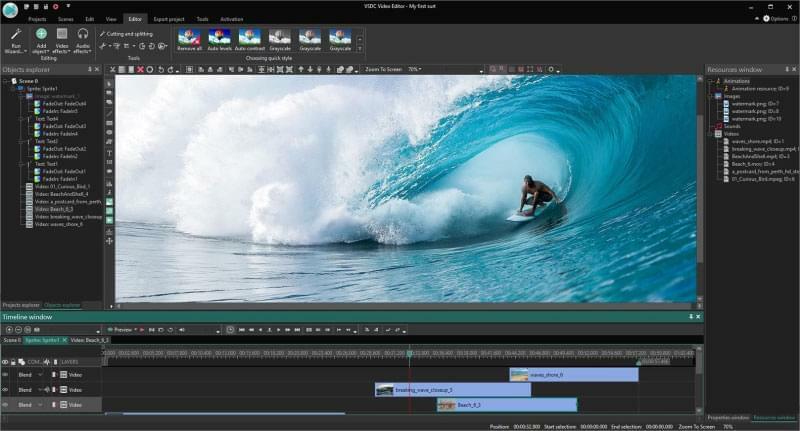 Hitfilm Express is a program for Windows and Mac that can be considered as professional grade video editing software. Some of the attributes that are available on this tool include unlimited transitions and audio tracks, full 2D and 3D compositing, and 410 plus presets and effects. However, you can expect some flaws on this program like playback options, deleting special effects and exporting performance is slow. Nonetheless, it is a great video editor for creating simple to advanced videos without leaving a watermark. 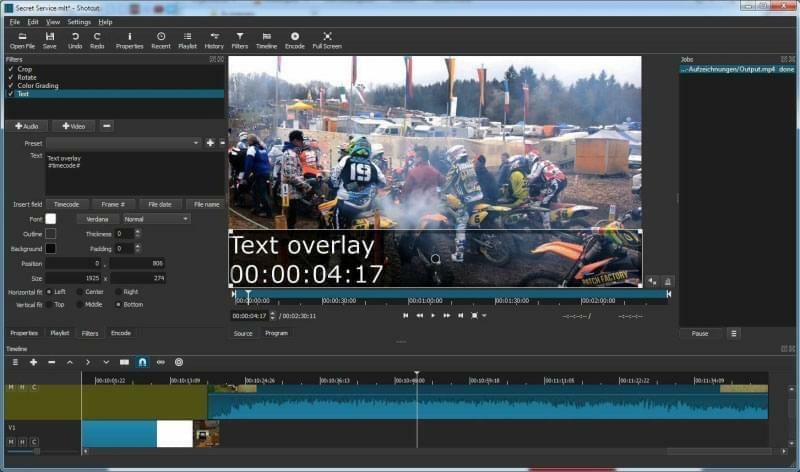 If you are looking for a video editor that resembles the phased out Movie Maker, Shotcut is a good alternative for it. With the same orientation of interface, you can easily make a video with this tool just like the old times. Its interface is composed of timeline, media, effects, and preview pane. By using this app, you can trim and join multiple videos, add various filters, transitions, and Chroma effects as well. Yes it does not have that slick interface like the paid ones, but it can create cool videos. Those are the top 15 video editors without watermark that you can use whenever you are making a video. Each video editor mentioned above works well in making video, but they have their own distinct appearances and functionalities. And to know which one fits your preference, you'd better check all of them at first.